The latest lineup of Sony ES home theater receivers defines new levels of features, performance, and warranty in their category. 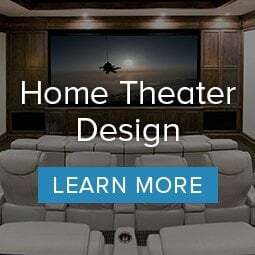 Let's go over their features, detailing out what they share in common, what the differences are as you move up, and most importantly, helping you figure out which one is the best for your room and home theater system. The first thing that sets Sony ES products apart from the competition is something that they have stood behind for the last two decades: an industry-leading full 5-year parts and labor warranty! For a manufacturer to hold themselves up to a warranty that long, they need to have great faith in the build quality of their products, format..and in the case of the latest ES receivers, build quality is top notch! So, no matter which one you choose, you’ll get an outstanding warranty. All of the new ES receivers also feature Dolby Atmos surround sound processing. This new object based surround format is the biggest step up in home theater audio in the last 20 years and must be on your checklist if you are in the market for a new home theater receiver. In terms of video processing, if you are thinking about a new home theater receiver, you may have run across the term “HDR” which stands for “High Dynamic Range,” and is the latest format. HDR does require upgraded video circuitry to pass the signal through and we are happy to state that all of the new ES receivers are capable of HDR. We have always loved Sony’s video processing. This capability really comes into play when you have a new 4K UHD TV and are watching a source that is not 4K, like most broadcasts and streaming content. All of the Sony ES receivers have the ability to upconvert your non-4K signal to get it closer to a true 4K picture. While it will never be as good as an actual 4K signal, the upgrade is significant, especially on streaming content. And for feeding video around your home, every model has a second HDMI out that you can assign to a second audio zone. Finally, on the new models, Sony has spent a great deal of time developing some room correction enhancements, making use of a special stereo microphone included with all models. By running a series of test tones, you can actually have the receiver make some audio equalization adjustments to help tame any big audio peaks you may have in your room, and trust us, every room has some! Also, after this calibration, they all have the ability to engage what is called “phantom surround back”. This is useful when you only have side surround speakers but want to simulate a pair of rear speakers. On top of that, they all share what is called an “in-ceiling speaker” mode. Ideally, your front three speakers would be mounted to face you. However, in some homes, the ceiling is the only place to put the speakers. In some rooms, this mode actually works really well to give you the effect of moving the sound down so it seems to come more from in front of you, which is pretty cool! The rear connections on all models also use very high-quality speaker connections. We find these far superior to the lower end plugs we see on some competitors models. Another interesting feature on the ES line compared to the normal Sony line is that all of the units have detachable power cords. This allows you to do two things. If you are into having a very neatly wired system, you can buy a shorter cord to tidy things up, or better yet, you can try out one of the aftermarket power cords designed to improve audio performance. You will find us making references to the weight of these models during this review. We should point out that at the time we did this, Sony’s main site had an error in the weight on the specifications sheet. They apparently put the kg weight but followed it with lb. We actually weighed the units to be accurate. Sony may have fixed this by the time you read this, but we wanted to let you know in case you looked. So now that we know most of the features they share, let’s take a look at each one individually. The 810 is the entry model in the ES lineup. It gives you 6 HDMI inputs, 2 digital inputs, and 7 powered amplifier channels. It can be configured as a 5.1.2 or 7.1 receiver. 5.1.2 would be the preferred method for Dolby Atmos, which would give you left, center, right, surrounds, and a pair of height speakers. This is also a setting where you would want to test the phantom surround back mode to see how it does in your room. The 7.1 setting would forgo the height speakers and use an actual set of rears in addition to the sides. The STR-ZA810ES also gives you a host of convenience options, including Spotify Connect, Airplay, and Google Chromecast. It will also support Bluetooth streaming to the unit. Even though this is the entry model, it still weighs in at 20 pounds. The power amp section inside is rated at 100 watts per channel, and like all of the ES models uses real output transistors like you find in high-end separate power amps. If you are just using 5 amps, you can configure the remaining two channels to power a second zone. The STR-ZA810 also has a headphone jack, which none of the other ES receivers support. When you consider everything it shares with all the models, its $799 price tag makes it a real bargain! The STR-ZA810ES will be at home in a theater where you are never going to have more than 7 speakers. You can certainly start out with less, but it caps out at 7. It will lend itself very well if you are a frequent user of streaming services and love to fling your pictures up to your TV. It can drive most moderately efficient speakers very well, but will not give you the very best out of a multi-thousand pair of speakers, but of course, if you have something like that, you are probably not looking in this category anyway! We liked this guy so much, we gave it a full review. If you were comparing it to the 810 in the auto world, you would say it is stripped down version, hot rodded, and with a much bigger engine! You’ll get one less HDMI input on the STR-ZA1100ES and you will lose all of the streaming features and Bluetooth. So, if Sony took all of that off, what did they add back in for the extra $200? Well, my friends, even though they are rated at the same power, Sony added an extra 3” in depth and 7 pounds in weight, which add up to a far, far better amplifier section. The power transformer is much larger, which accounts for most of the weight difference. This means on those really dynamic passages, it can keep going. We also see bigger and better output devices in the amp section. This all translates into much-improved audio, at an amazing value for its price. The possible speaker configs are the same as the STR-ZA810, but you have another option in your zones of audio because the STR-ZA1100ES adds a third preamp out, letting you add a power amp to drive a third zone in your home. You also get an additional digital audio input too. Just like the STR-ZA810ES, the STR-ZA1100ES will be great if you never plan to go past 7 speakers. We see this as the perfect fit if you really care about audio quality, and who doesn’t?! It will drive difficult speaker loads and give you tons of great dynamics. To make up for the loss of all the streaming features, just plug in a Roku, Chrome stick, or Apple TV and you are all set. If you are planning on adding a turntable and getting into vinyl, you will certainly appreciate the better amp section for stereo listening. This model is very similar to the STR-ZA1100 but adds more decoding and outputs for Dolby Atmos and other object based surround modes. All of the video, digital, and zoning ins and outs are identical. With the STR-ZA2100ES, you have 9 possible decoding channels with preamp outs for a pair of height channels. So, if you added a power amp, you could do 7.1.2 or 5.1.4. In most rooms, especially with the 5.1.4 option, you will get super immersive object-based surround as this would give you 4 height speakers, a pair of side surrounds, and left, center, right. Bear in mind, this will require a 2 channel power amp to accomplish. We found the 2100ES to sound identical to the 1100ES, which is fantastic. Maybe you have been playing around with audio for a while and have a spare two channel amp laying around somewhere that you are not using. You could couple this to the STR-ZA2100ES and get a super immersive 9 channel object based surround system. Again, like the STR-ZA1100ES, this guy is for the person who cares about how things sound and wants to have a unit capable of driving most speakers on the market. It will allow you to start out with as few as 5 channels and take it all the way to 9 with the addition of a power amp. When you jump from the 2100ES to the 3100ES, you’ll be spending an extra $300. So what does this buy you? 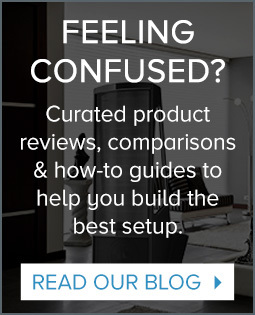 Well, we feel it gets you a much more solid upgrade path should you wish to really take your system to a higher level than a receiver. The STR-ZA3100ES, like the STR-ZA2100ES, can decode up to 9 channels of object-based surround, but adds a full bank of preamp outputs for ALL of the channels. This means that if you decide you really love the hobby of stereo listening, you can easily upgrade the amp driving your main speakers with the addition of a power amp. If you get a new center channel that is huge and needs more power, or if you have a very large room and need more power for any of the channels, the STR-ZA3100ES has the connections to accommodate these types of audio upgrades. It also seems that these days all of our equipment cabinets have an ethernet switch in them that takes up space. We love Sony’s “de-cluttering” idea they had for the STR-ZA3100ES and STR-ZA5000ES; they include on the back panel an 8-port gigabit switch, which should be more than enough to handle everything in your rack. The 3100ES is for the home theater enthusiast who is looking to start out with a receiver but has aspirations of getting better sound along the road by adding higher performance amps. Don’t get us wrong, the STR-ZA3100ES sounds great (pretty much just like the 1100 and 2100) but those don’t let you add all those amps later should you wish to do so. The rear switch is also a nice neatness touch! This one is the mac daddy in the new ES series. Feature wise, it is very similar to the models below it, although it does add in another HDMI input to give it a total of 6. Just like when you jump from the entry model to the next one up, this guy takes another jump up in audio performance and sheer mass. When you pull off the cover and look at its massive power supply for the amp section, it is easy to see how it gained 8 pounds in weight over the 1100, 2100, and 3100. The power transformer itself is a work of art to us audio geeks! Two more channels of on board amps are added to the STR-ZA5000ES, giving it 9 powered channels rated at 130 watts per channel, plus the full 11 channels of object-based decoding on board, which is the maximum for home use. Like the STR-ZA3100ES, it has preamp outputs for every single channel, all 11 of them, plus two sub outputs! So, without any amps, you could have 5.1.4, 7.1.2, or anything less. Add in a separate power amp and you get to full 7.1.4 amazing object based surround. The preamp stage of the STR-ZA5000 is also first class and uses Sony’s best components for super pure audio. All of the other wealth of performance features found on the upper models are in the STR-ZA5000ES too. We find this model to be the best fit for someone who wants great sound now, but may be planning to take their home theater to an even higher level in the future. Its full complement of preamp outs will allow you to upgrade any channel. However, you may not need to add anything but a 2 channel amp for those last 2 channels, as its main amplifier section sounds fantastic. Actually, we have found that in today’s market, a receiver that weighs close to 40 pounds is probably going to sound great, and the STR-ZA5000ES is no exception. Use this with your great speakers and turntable and you’ll love its warmth. Switch to a Dolby Atmos movie and you’ll have trouble not grinning ear to ear when you experience how well it decodes and places objects in space. If your theater room is large, you will also greatly appreciate that big power supply. 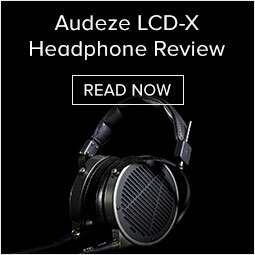 This enables it to push out dynamic sound even during the most demanding passages. While the STR-ZA5000ES is not cheap, it should give you years of great sound and enable you to do whatever you wish from an upgrade standpoint. As you can tell, your own situation and future plans will play into which of these new ES receivers is right for you. Just remember, if you have even an inkling of upgrading later on, please consider some of the upper models with this capability. You will not regret it! 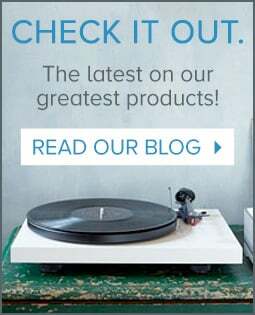 All of the Sony ES Receivers are available for purchase in our Raleigh and Charlotte, NC showrooms and right here on AudioAdvice.com. If you have any questions, please feel free to chat us -- we would be happy to help!